This is an invitation to all Stragglers to take part in one of the highlights of the running year, and one in which The Stragglers have featured for over 20 years. The Welsh Castles Relay race is a 2-day, 20-stage, 211-mile relay race mostly on road but with many hills from Caernarfon to Cardiff, and can be described as the equivalent of the Tour de France for runners! It is organised by Les Croupiers Running Club Cardiff. More information about the event is given below, together with a link to a Google Form to let us know if you would like to be part of WCR 2019. 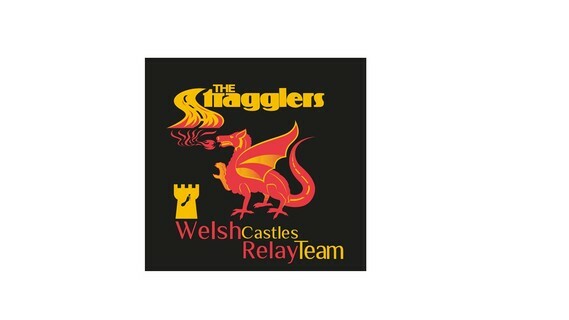 Further information can also be found on the Welsh Castles Relay site here. You will get the best "Welsh Castles Experience" if you travel on Friday, run/follow the race through the weekend and return from Cardiff on Sunday after the race. However, if you can't commit that much time, it is possible to be there for a shorter time, including travelling there and back on the same day. A team requires at least 20 runners – one per stage – and reserves in case of any last-minute withdrawals due to injury etc. No-one may run more than one stage. Teams can be single or mixed gender (with the obvious exception of the Ladies teams). We will apply to enter two teams with two captains, Tiago and Karen, who did such a great job in 2018. The aim would be a “fast as possible” open team and a “still within the cut-off” vets team (ladies over 35 and men over 40). The goals would be for the open team to finish as high as possible and for the vets team to not be the last in the vets category! A final decision on the number of teams and the categories would be taken when we know how many people are interested and, of course, the entries are accepted. Runners must be able to maintain at least 9-minute miles on hilly terrain. Please note that each stage has a time cut off, which is stringently applied. There is a time check point approximately half way on each stage. No roads are closed so runners must have previous experience of open road races on an un-supported basis. The race includes very exposed hilly sections so runners need to be prepared for adverse weather. Runners must be "first claim" members, 18+ years and medically fit to take part. A few shorter stages are suitable for 16-17 years+ (in accordance with UK Athletics rules) or other runners for whom 9-minute miles on hilly terrain may prove a challenge. This year, we've again booked The Dragon Hotel in Montgomery and so have accommodation for everybody (teams and supporters) in the same place. If you follow the “register interest” link below, you can indicate the type of room you would prefer (minimum cost, own-room etc.) though we can’t guarantee that everybody can get what they want! Normal breakfast service starts at 7:00 and we’re going to try and improve the breakfast choices at The Dragon for runners who must leave before the normal breakfast starts at 7:00. If there is enough interest, we will use minibuses. From checking with a couple of hire firms, that would cost around £50 per head which includes fuel and insurance. Drivers would need at least a full category B licence and we would need 2 drivers for each bus. KevBest will arrange a training programme starting in March 2019 aimed at the half-marathon distance with extra hills for those on mountain stages. All runners will get a branded “team” shirt (different fittings for ladies and men). We will set up a WhatsApp group just before the weekend to facilitate communication between all participants during the weekend. Now for the important bit….please let us know if you would like to be part of WCR 2019!